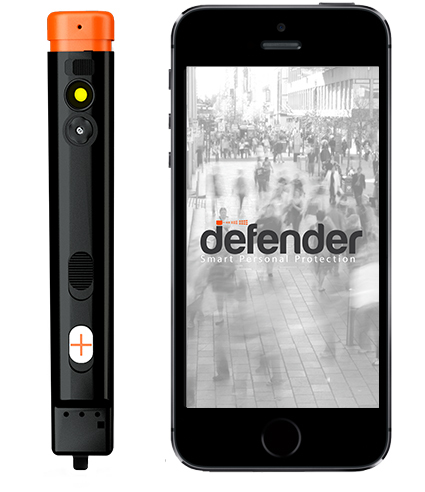 The Defender is a new personal safety product that features pepper spray, a siren, flashing lights, a number of smart features including a GPS triangulation, and a camera that snaps and transmits a photo via Bluetooth. Once captured, the information is sent to the Defender team via an iPhone or Android app, who in turn communicate with 911, while notifications are also sent out alerting your emergency contacts of the incident via text or e-mail. The product’s creators are currently seeking funding via an Indiegogo crowdfunding campaign.